Treat yourself to some well-deserved R&R with one of our favourite spa weekend getaways. Whether you’re celebrating a special occasion with a loved one and looking for a weekend away from everyday life, or if you’re looking to treat yourself to a relaxing afternoon alone, these spas offer some of the best in relaxation and indulgence. De-stress at this urban spa destination in downtown Toronto. With services and treatments for men, women, and couples, this spa is a definite for your list of to-take spa weekend getaways. Whether you’re a local or visiting from out of town, the Elmwood Spa offers something or everyone. With two restaurants, a juice bar, 34 treatment rooms, water therapies, a swimming pool, a whirl pool, and steam rooms, this spa getaway brings convenience and comfort to your stressful schedule. Offering facials, manicures, pedicures, massages, body treatments, waxing, makeup, detox wraps and special treatments for men, the Elmwood spa is a one-stop spot for your spa weekend getaway. 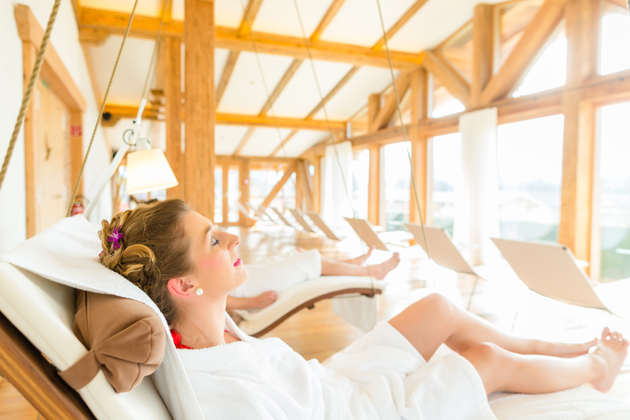 Rest your achey shoveling bones with a weekend at the spa in the beautiful Niagara region. Truly treat yourself from your head to your toes with the variety of calming, relaxing, and rejuvenating treatments offered at the Spa at White Oaks: ranging from scalp massages to pedicures, and everything in between. Round out your spa treatment with a romantic night out: The Spa at White Oaks offers packages for a full weekend for you, the girls, or your sweetheart with a stay at the White Oaks Resort. Enjoy local Niagara wine, enjoy the magic of the Falls, or enjoy Niagara’s theatre scene after being pampered and primped at the White Oaks resort. Looking for something just for the special man in your life? The Spa at White Oaks also offers 8 “dudes-only” treatments. The Spa at White Oaks and the resort offer a perfect spa weekend getaway. For other Niagara area hotels for your weekend away, click here. For those looking for a luxury spa weekend, unwind at Infinima Spa. Step foot in this spa and feel as if you’ve stepped into Italy or India with décor reflecting thermal baths and temples. With services and therapy from around the world – including Nordic baths, Finnish saunas, and rainfall showers – Infinima will leave you feeling relaxed and soothed. Infinima is a “green spa,” and products used for treatments are fair-trade, paraben-free and bio-degradable. Get what you want out of your spa weekend getaway at Infinima by customizing your music, treatment plan, room lighting, and more. Choose from massotherapy, beauty treatments, esthetic treatments, and Nordic baths alone, with your partner, or with a group of girlfriends. A visit to beautiful Victoria, British Columbia should be rounded out with an afternoon at The Spa Magnolia or a stay at the adjoining Magnolia Hotel. Luxury meets organic health treatments at the Spa Magnolia, where your body, hair, and skin will be treated with some of the best products in the industry while in a tranquil, soothing environment. 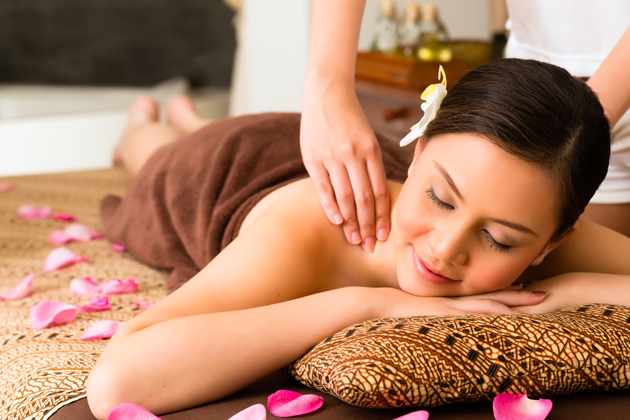 Choose from a range of treatments, including 7 types of massages for your stress and pain needs. Voted one of the leading spas in Canada, the Spa Magnolia specializes in pregnancy massages, offering a 60-minute relaxing massage to mothers-to-be. Expectant mothers are able to lie on their stomach with the spa’s special pregnancy pillows, allowing massages to work deep into the back and relieve pressure and stress. The Spa Magnolia should be on your spa weekend getaways list, no matter the treatment you’re looking for. Pamper yourself with a slow-paced, relaxing weekend in Victoria at one of the city’s stunning hotels. What is your favourite spa getaway? Leave us a comment and let us know. What’s going on with radio this September? More trip giveaways for you!